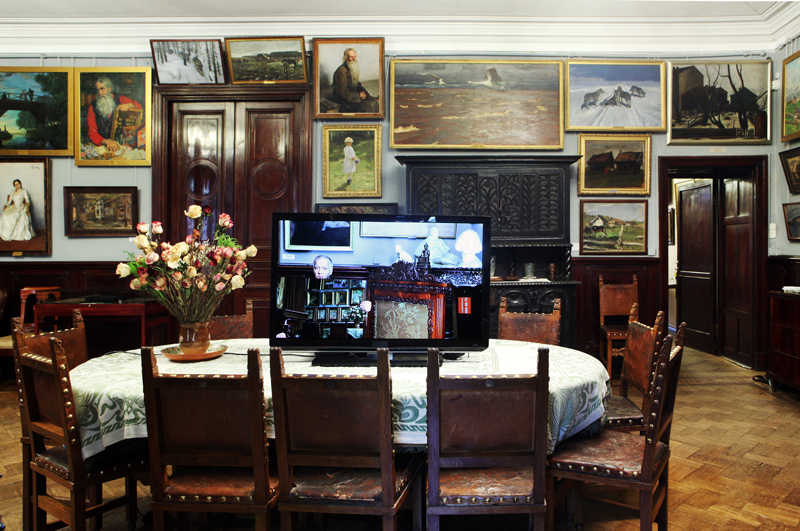 This project was commissioned by the ProArte Foundation in St. Petersburg for their Contemporary Art in Traditional Museum festival. 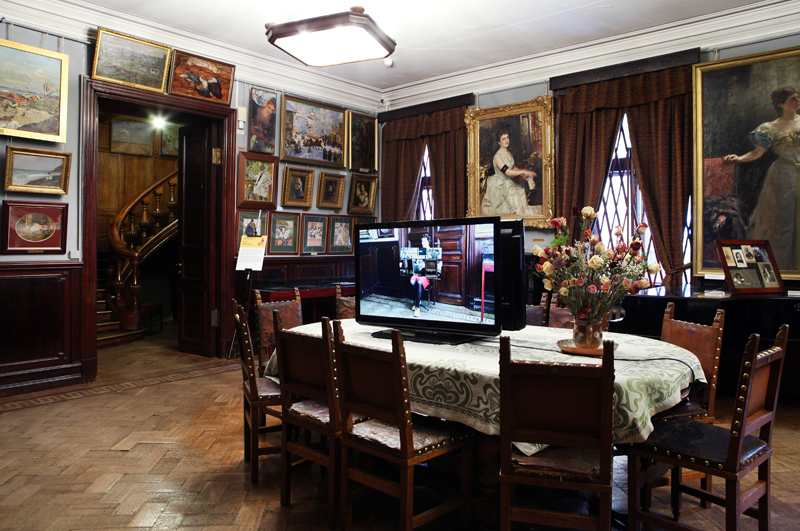 It was shot on location in the Apartment Museum of Isaac Brodsky, an artist and collector. The models for this project are all employees of the Brodsky Museum and visitors were very likely to see them while touring the small museum. 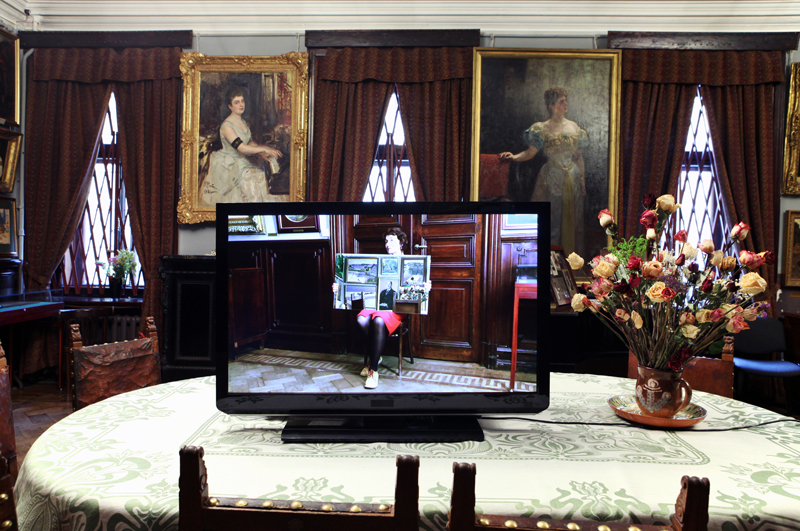 2012, Adad Hannah: Mirroring the Brodsky as part of the Contemporary Art in Traditional Museum festival, St. Petersburg, Russia.